Solid particles flow through the hydraulic system under high pressure and at high speed and sandblast its components (pumps, valves, seals and cylinders). Did you know that a pump with a flow rate of 200 l/min. 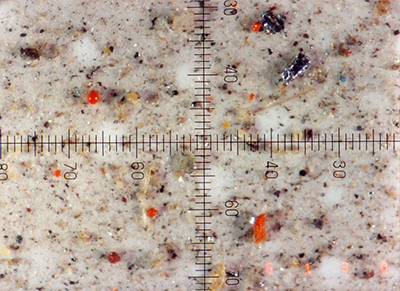 and contaminated oil (NAS 12 or ISO 21/18) has to pump more than 3,000 kg of dirt particles per annum ? 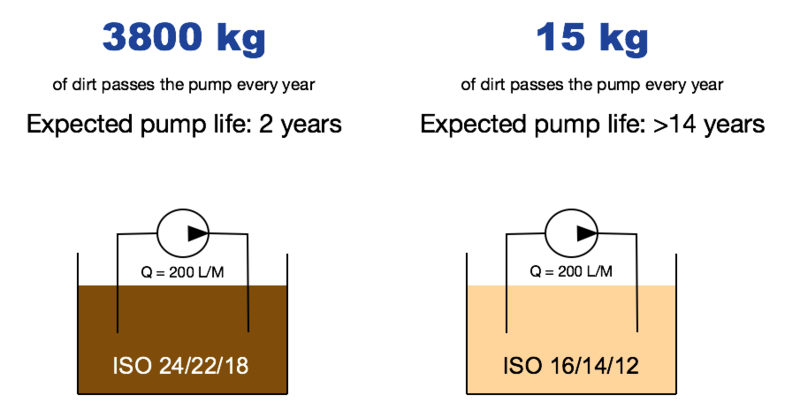 This same pump with a clean oil (NAS 4 or ISO 12/9) only needs to process 15kg. Small metallic particles play an important part in this process as they represent such an enormous surface area (the smaller the particles, the greater their surface per unit of volume). Consequence: the higher the pollution, the faster acid develops in the oil and the faster the oil loses all its physical and chemical properties. A change of oil is then the only solution. First stage steering: the ball needle has to steer the positioning of the first stage spool. 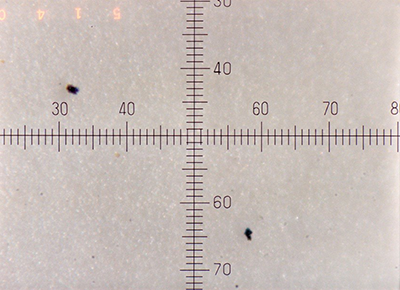 But very small metal particles ( < 10µ ) cause wear of the ball surface. As a result the round ball becomes oval little by little, which will again result in wrong steering of the main spool.